Posted 4/25/2018 5:57pm by Jill Rendleman. Members will enjoy fresh mixes greens with edible flowers, spinach, romaine lettuce, and new dill. What to do with greens? we like them best braised, that is sautéed in a little hotter skillet for a shorter time, in olive oil and with a little minced garlic added about one minute before eating. yes the flowers are edible.....in New York we could sell them by the ounce! or prepare the greens as a salad with a lite dressing of olive oil, lemon juice, rice vinegar, and a dash of mustard. These greens are densely nutritious and include tatsoi, mustard, endive, mizuna, and other asian greens. Romaine that is not contaminated is at a premium now so enjoy organic local non gmo never sprayed with anything romaine, pure and simple. 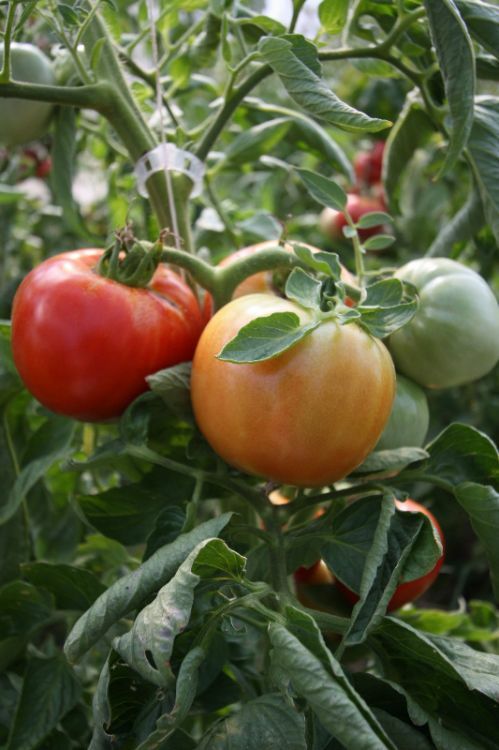 Our romaines are a smaller variety that are easily prepared for a salad with 5 to 6 inch leaf, versus 12-16 inch leaf. Spinach is something you can incorporate into a green salad, or you could consider cooking in olive oil with a little salt and garlic. Great with eggs or rice. Dill----by now you know that I see herbs as a potential meal or primary meal enhancer. I love dill mixed with sour cream and/or philly cream and topped on any meat or vegan dish, but especially good on fish.....ie salmon. If you find in your CSA you have too much of an herb, leave it on a plate to dry in the kitchen and use it later or freeze it after it has dried. Remember that herbs have kept major civilizations alive for centuries when no other food was available. While we think of them as seasonings, we should really think of them as those things along with interesting taste, add nutrition, add probiotics, add new dimensions to the flora and fauna in your bodies immune system. Posted 4/18/2018 8:10am by Jill Rendleman. 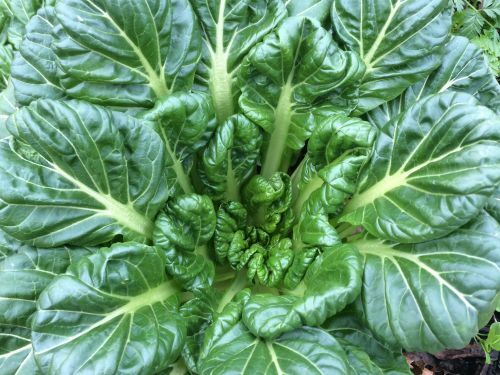 Members will be enjoying Tatsoi, a lovely asian green, our famous mixed lettuce mix, a nice big bunch of parsley, and either some greens or beets...no decision on that yet this am. Tatsoi is great in a salad or simply braised with other greens, maybe a carrot for color, and tossed over rice. Garlic is a key addition to braised greens....also, I like to add a little heat, ie a cayenne pepper or pepper flakes minimally. Parsley is a meal on its own here at All Seasons. We boil noodles, add mozzarella or some other decadent cheese, and then toss in the fresh parsley.....so good and very healthy. This week we have been preparing potato and tomato beds and planting a few green onions. We think the frost bypassed the blueberries which were starting to bloom.....cross our fingers! Posted 4/11/2018 8:37am by Jill Rendleman. Posted 4/11/2018 7:47am by Jill Rendleman. 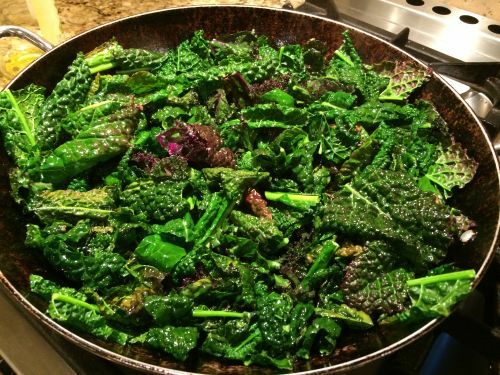 Look for more great greens this week.......starting with some wonderful green kale, which will go nicely with some farm grown potatoes, along with red and green romaine, and spinach which we are calling "dinner plate" as it got a bit large in the last week! Please CALL or TEXT me if you cant make your pickup so we can get your share in the cooler! 618-308-0217 your farmer, Jill! TownSquare Market. 4:30pm to 7pm. ON FARM PICKUP. Between 12pm and 2pm OR AFTER 4pm , or anytime afterwards except call me if it is going to be late at night. Posted 4/4/2018 8:22am by Jill Rendleman. Reminder to members that you can sign up for a gourmet mushroom share which is offered to our members at a wholesale price. 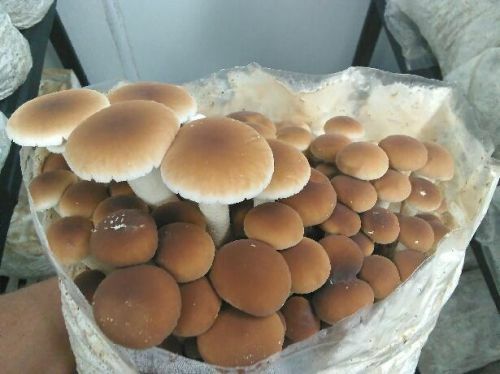 These are sustainably grown, local, several gourmet varieties.....the taste and quality is excellent and mushrooms are more and more well known for the good and very different nutrients and probiotics they add to our health system. You can sign up for 8 weeks of mushrooms for only $80 getting about 1 lb of mushrooms each of 8 weeks. Also 1/2 doz egg shares are available by popular request from members. Please give me a call 618-308-0217 and I can sign you up....pay later. Or you can LOGIN to your membership by simply entering your email address at www.allseasons-farm.com/login. Members can also put vacations holds on or change your pickup location, check your membership choices, add new shares, etc etc. looking forward to the season! tell all your friends, co workers, family.....we have about 15 shares still available for spring/summer! Posted 4/1/2018 3:16pm by Jill Rendleman. CSA Members will pickup the first share of the Spring/Summer season this Thursday in Carbondale & the farm, and Friday in Marion. We are looking forward to another great year! Be looking at your emails from me this week....it may have information about CSA membership you need to know. Remember to CALL or TEXT me with questions 618-308-0217 for substitutions or vacation holds etc. DONT EMAIL ME AS I WILL MOST LIKELY NOT SEE YOUR EMAIL. Thursday: Neighborhood Coop under the awning at front entrance. 4:30- 5:30 pm ....if you will be late or picking up on another day, you must TEXT or CALL ME and I will put in Coop cooler, no problem! To pickup, simply go to produce cooler and say your name and All Seasons Farm CSA. Thursday: TownSquare Market inside store 4:30 to 7pm. If you will be unable to pickup then call TOWNSQUARE (not me) at 618-529-2312 and they normally hold for you overnight, after that, they toss You can call me Mon to Wed to change your pickup site to the Coop if you want your share available anytime after Thursday. Thursday: All Seasons Farm at the tall white barn anytime after 4pm or anytime between 8am and 7pm any other day of the week. Please do not come to pickup your share prior to 4pm on Thursday. Your share will be in a very cold cooler and ready for pickup. Directions to the farm online or CALL me! Friday: Marion Cross Fit: in the parking lot.. 12:30pm to 1pm .look for my spouse, Bill, in a small gray get around car with "SAILOR" on license plates. Fusion: We currently do not have the minimum to deliver to this site....... if you signed up for Fusion, your pickup has been changed to Marion Cross Fit. Thanks so much for your membership........look for more emails this week. The month of April will be full of some very healthy greens and root crops....and a new source for local non GMO rice! We are excited. Posted 3/21/2018 1:54pm by Jill Rendleman. and click on the green bar at the top "RETURNING MEMBERS." or call or text me at 618-308-0217 and I can sign you up. Returning members who are missing greens or lettuce before we get started can come to the winter market Sat March 24th or Sat March 31st and get some free veggies. Or you can call or text me and stop by the farm to pick up or pick your own. We have spinach, kale, some lettuce, parsley, dill, cilantro currently ready. Posted 2/22/2018 5:08pm by Jill Rendleman. 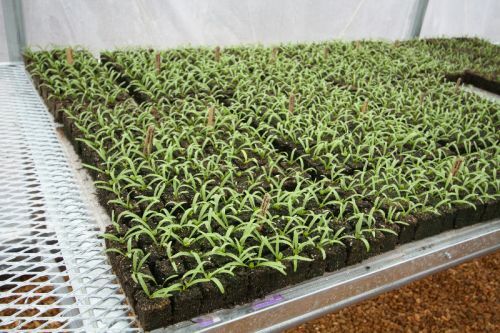 This week has been productive, despite the rain and cold we have prepared several plots for growing. Lots of seeding going on in soil blocks for the Spring/Summer 2018 Season. If you are a CSA member from 2016/2017/2018 you might want to come to the Carbondale Community Farmers Market at CCHS Sat Feb 24th and get a free bag of spinach or lettuce or whatever you like. Simply say......I am a CSA member! Come earlybecause we may run out! If you bring a friend that signs up for a CSA ......be sure to let me know by calling me, farmer Jill 6183080217.....you will get a $15 credit towards your CSA membership or extra veggies during 2018. Traditional weekly CSA's 2018 will have new options to call or text to customize your weekly box. If in our weekly email you see green zucchini (or something else you don't want more of....) for the week, you can text or email 618-308-0217 and ask for a substitution of other veggies or fruits. Its cold and gray and rainy but we have been able to get soil tests, seeding, and some building improvements done in the last two weeks. 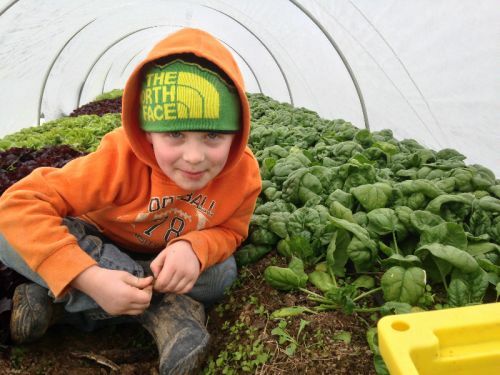 We still do cleaning and packing outdoors despite the weather, rain, sleet, heat, or snow.....but we manage around that to insure clean, healthy, and high quality in our veggies. Maybe this summer we can build a lean to for covered cleaning and packing! I can't believe our pink and white potatoes are still so nice from last fall as are the sweet potatoes and beets. The work done on our coolers in 2017 has had some real benefits to our CSA members. Our online store www.allseasons-farm.com/store/buy-vegetables-online provides CSA members to buy "extras" for large family or other events......but is also open to non members who want to buy what you want, when you want it. So if CSA is not a good option for you, then the online option provides another option. Our goal with the CSA is to provide wholesale prices for local certified organic produce, while the customized online ordering allows those who are away often or have specific veggie and fruit requests.....to be have access to our produce. Our traditional CSA is the backbone of our farm and we very much appreciate your support over the seasons. We continue to listen to members and add or change things that need revisions! Posted 2/15/2018 11:37am by Jill Rendleman. This is our LAST share of the Fall/Winter Season share.......I have looked at all our plots and decided it was best to have one nice final box! Hopefully you have signed up for the spring/summer season 2018. Members get a 3% discount plus 3% for payment in full, plus 3% for buying both seasons at once.....so its significant. If you have any questions or trouble with sign up let me know. There are changes to the CSA this year. I will be asking more often for you to request substitutions for things in the share you just don't like or have had enough of! We had a few eggplant haters last summer we accommodated, and one member who had had enough of tomatoes.....believe it or not! We are trying to get a head start on the season this year taking every little window of sun and warm to prepare beds......my guess is we will have another long hot summer and the sooner we get things going the better. Posted 2/7/2018 3:10pm by Jill Rendleman. Wow we woke up to some real ice here today. Finally the sun is burning it off. The hens were sliding on their poor little legs and could not seem to figure out what was going on. 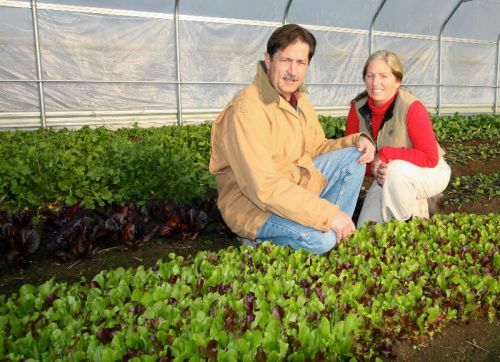 The high tunnels were frozen shut. You could skate all over the farm if you wanted! Nevertheless......we will have a CSA pickup this week. We will be featuring local award winning honey, local pecans, lettuce, potatoes and fresh parsley. Getting to the end of the season with greens and lettuces getting sparser. 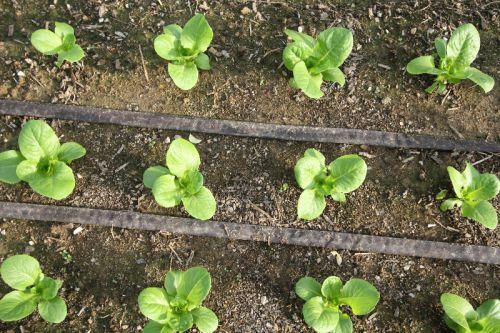 For the spring season we have planted mixed lettuce greens and lots more spinach. There are still memberships left for 2018 if you haven't signed up yet! go to www.allseasons-farm.com and click on MEMBERS ONLY....then click on Returning Members in the green bar at the top...or call or text me and I can get you added for spring!! !